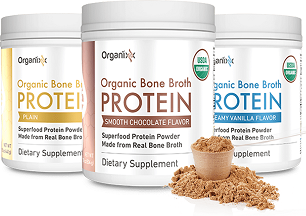 Well-known company, Organixx has re-released their popular Bone Broth Protein – with the USDA certified organic seal of approval. Their Organic Bone Broth Protein formula meets the highest level of federal guidelines and standards in quality and sources for organic ingredients, so I not only use it in my own morning smoothies, but I feel confident in recommending it to you. The product is energy-boosting, digestion-restoring, protein packed powder with zero chemicals, no preservatives, and is GMO-free!… and it tastes good. It is the highest quality organic bone broth powder I have found, and I use it almost daily. If you act now – you can reserve your supply today, with a 1-year – no questions asked – money back guarantee. To learn more about the five benefits of eating bone broth and to order: go here. . . 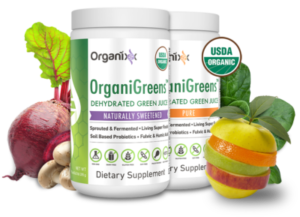 When you don’t have time to throw in your own fresh greens, fruits, and vegetables, here is a USDA certified organic, tasty, nutrient-rich Green Drink formula – guaranteed to deliver 71 concentrated fruits, veggies, mushrooms, herbs, and spices in a single serving. Use it alone or in your morning smoothy with protein to kick-start your day for health. 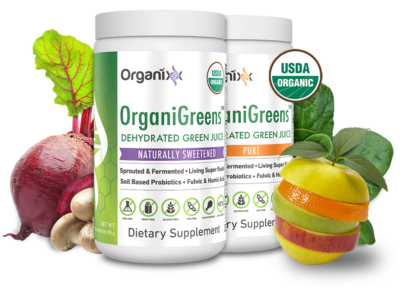 To learn more about all of the organic doctor-formulated ingredients and to order: go here. 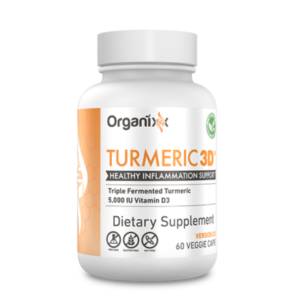 . .
Turmeric is one of the world’s most renowned inflammation fighting herbs on the planet, but unless you’ve grown up on a diet where turmeric is consumed at just about every meal, it is difficult to digest enough to support your health. Organixx has formulated a unique combination of turmeric and fermented botanicals to safely delivery critical, highly potent anti-inflammatory compounds anywhere your body needs support. The formula also contains 77 different ionic minerals for extra safe passage through the digestive system to help fight even chronic inflammation issues. To learn more and to order: go here. . .